The festive period is a high intensity time of year for your kitchen, which can lead to disaster, given the potential for spillages and scuffs that could ruin your home and mean Christmas is spent tidying up after guests. With this in mind, a low-maintenance kitchen is definitely the way forward. From an elegant tiled splashback to no-fuss fittings, follow our handy tips on how to maintain your kitchen’s showroom shine throughout Yuletide and beyond! Magnets are your best friend when it comes to keeping the kitchen tidy. Magnetic knife holders mean you don’t have to risk the bacteria-friendly wooden block that clutters most kitchens. Alternatively, you can use magnets to organise your spices in a clever way, taking the guesswork out of figuring out which orange lid you’re picking up. Just make sure your magnets are strong enough – otherwise you could end up decorating your kitchen with paprika (not a great look). Take a couple of magazine holders, turn them on their side and add them to your freezer – now you have a flat surface you can use to stack items on, rather than playing Jenga with your frozen sprouts, and you can prevent objects from sticking together. Hanging your pans from the ceiling will give your kitchen a rustic, country feel while keeping drawer and cabinet space free for other things. 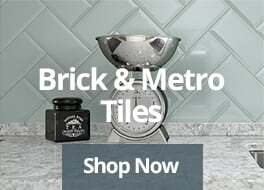 Practicality and style makes for a winning combination when it comes to entertaining, making a tiled splashback ideal for countertops and the area surrounding your stove – and our rustic metro tiles are eye-catching as well as being incredibly easy to clean. Kitchen wall tiles allow for quick and easy stylistic changes, while your tiled splashback remains timeless. 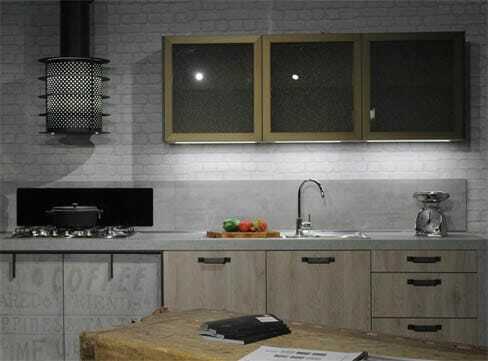 Add accessories or replace white panels with more daring colours – and when it comes to the wider aesthetic, you could always pair a kitchen splashback with distressed wooden furniture for a country living look, or with clear glass for a sleek, urban look. 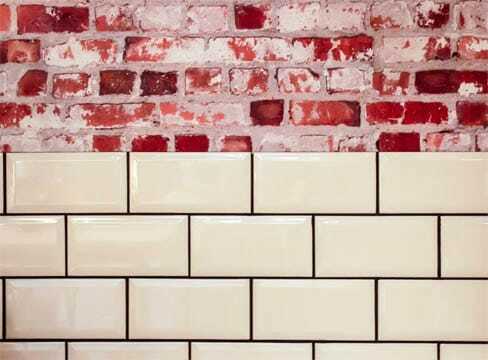 The strength and durability of tiles means that they’re longer lasting and far more practical than paint and wallpaper, which require hours of laborious upkeep and maintenance. What’s more, if you choose a darker colour of tile for your splashback – such as our Classic Black tile -, then you’ll find accidental splashes and spillages will be far less visible. When it comes to your cabinets and drawers, keeping it clean means keeping it simple. Old-fashioned, ornate mouldings often take hours to clean properly once you’ve gotten into every nook and cranny – but there is an easier way. The benefit of opting for a more modern, minimalist fittings in your kitchen is that cleaning becomes a low-effort activity – giving you more time to focus on what’s really important, like the turkey! The kitchen is the busiest room in the house, and that amount of footfall means an increased chance of slips and trips – but non-slip kitchen floor tiles offer a stylish and easy-to-clean solution to this problem. Non-slip flooring not only keeps little ones safe but also ensures that your floor is hard wearing and low-maintenance. Our range of stone fusion tiles allow you to take all of these concerns into account and inject a touch of class into any kitchen. If you’re trying to make a statement, why not try our wood effect floor tiles? Their anti-slip, matt finish ensures practicality – making them an ideal choice for busy domestic areas. Read more about wood effect tiles range here. 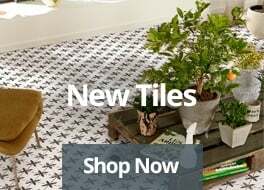 At Tiles Direct, we provide a wide range of tiles that combine fashion with function, and we deliver UK-wide. Have a peek at our winter sale today and visualise your new, low-maintenance kitchen this Christmas!